Photo: Chris Madden/Madden Illustration via Getty Images. One in five Canadians are affected by mental health problems, yet it remains misunderstood and under-treated. Here, we debunk some common misconceptions. One in five Canadians will experience mental illness at some point during their lifetime, and the country loses billions of dollars each year on lost productivity due to mental health issues. Globally, the World Health Organization (WHO) says that approximately 15 per cent of adults aged 60 and over suffer from a mental disorder. In Canada, that number is even larger with as many as 17 to 30 per cent of people over 65 affected by mental health issues. “Mental health affects us all,” Dr. Taylor Alexander, chief executive officer of CMHA, said in a news release. The CMHA is still advocating for the federal government to create a national mental health system which is comprehensive, universal and integrated. An August 2008 survey conducted by Ipsos Reid for the Canadian Medical Association (CMA) revealed that almost three quarters of respondents agreed that funding to treat mental illness should be equal to funding for physical illnesses such as cancer. The lack of awareness about the prevalence of mental health problems — as well as the social stigma that often surrounds such disorders — can impede corporate fundraising efforts for mental health issues such as depression, anxiety and schizophrenia, according to Philip Upshall of the Canadian Alliance on Mental Illness and Mental Health (CAMIMH). And for people with mental health problems, the prevailing myths and social stigma can also present a barrier for treatment. Myth #1: Mental health problems aren’t common. Mental illness is, in fact, quite common. Statistics show that one in every five Canadians will have a mental health issue at some point in their lives. Mental illnesses account for a large percentage of hospital stays every year. Yet, in spite of the fact that every Canadian knows someone who has been, or will be, affected by mental illness, few people know very much about it. Myth #2: People with mental illness are violent and dangerous. As a group, those who are mentally ill are no more violent than any other group. In fact, they are far more likely to be the victims of violence than to be violent themselves. Myth #3: People with mental illness are poor and/or less intelligent. Studies show that most mentally ill people have average or above-average intelligence. Mental illness, like physical illness, can affect anyone regardless of intelligence, social class or income level. Myth #4: Mental illness is caused by a personal weakness. Myth #5: Mental illness is a single, rare disorder. 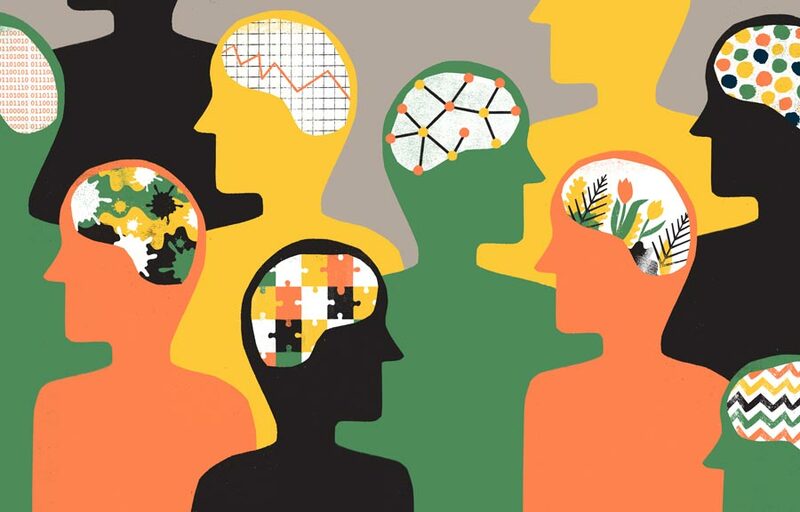 Contrary to popular belief, mental illness is not a single disease but a broad classification for many disorders, including anxiety, depression, schizophrenia, personality disorders, eating disorders and organic brain disorders. Treat everyone the way you would want to be treated: with respect, compassion and dignity. Mind your vocabulary. It may seem harmless, but using words like “crazy”, “psycho”, “whacko”, “nutso” and “insane” actually perpetuate the stigma surrounding psychiatric disorders. It’s as inappropriate to joke about a mental illness as it is to joke about cancer or heart disease. Speak out about stereotypes. Books, movies, television and even news stories can misrepresent or belittle people suffering from a mental illness. Talk to your family about what you see, or write the organization or station. Often, such representations aren’t intended to harm — but you can change the way the media talks about mental illness by speaking up. Educate yourself and others. Some good places to start include the CMHA’s Understand Mental Illness and Test Your Mental Illness Knowledge. Ultimately, the goal isn’t about being political correct — it’s about creating an environment where people affected by mental illness can feel comfortable seeking the help and support that they need.